All day comfort for gentler riding, everyday walkies and weekends away. 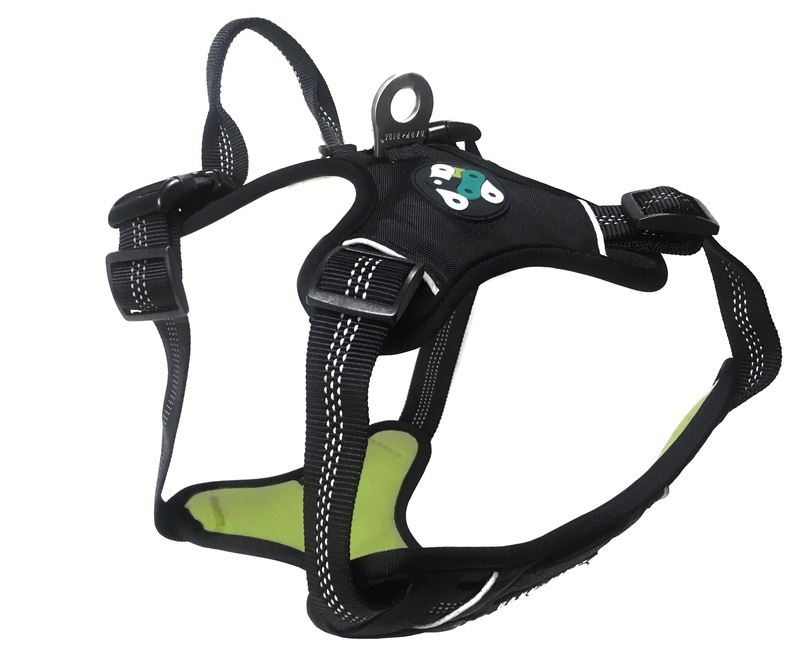 This harness with its soft breathable inner is comfortable,wicking, durable and has soft webbing for minimum contact. Multi Attachment point for attaching leashes of varying kinds and lights or dog tags. Great style for everyday wear. Available in 4 sizes. Small, Medium & Large and X-Large. The Lewis Adventure Harness was designed and developed by Lewis, our now 8 year old English Springer Spaniel. Our first traildog who loves nothing more than to stick to your back wheel and chase you along the trail. 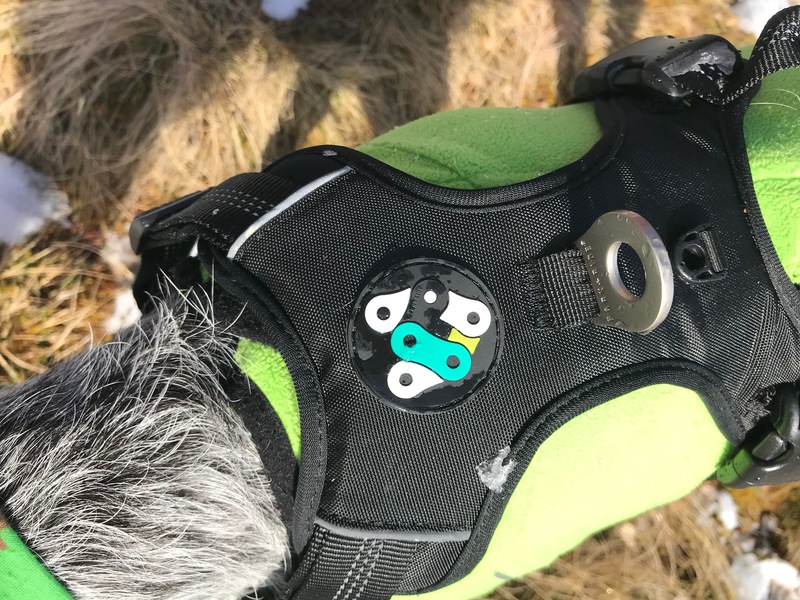 With the freedom to move and stretch as well as the added safety of a little more padded protection around his sternum, this harness will give a great level of comfort as well as a little protection against stones or twigs which he may encounter whilst chasing you down the trail. 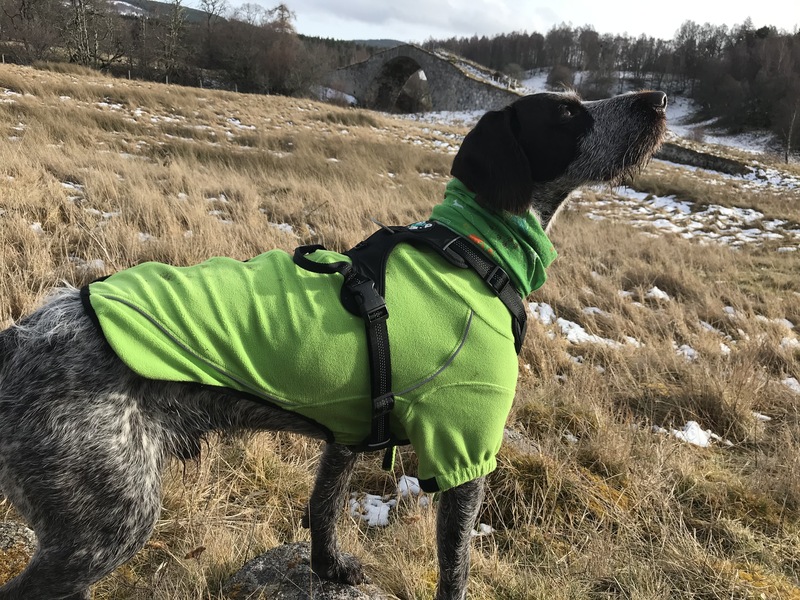 This harness is also perfect for smaller adventures and everyday walkies as well as weekends away in the van. 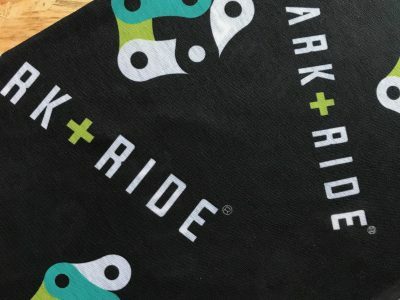 We recognise most of our customers love adventuring all over the United Kingdom and abroad, which usually means a little travelling in the car or van. 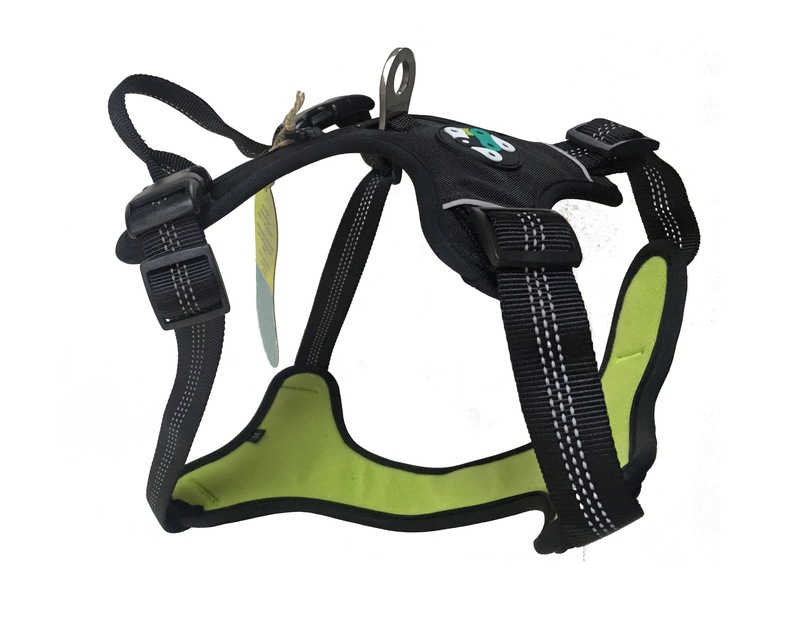 If your dog must be clipped to the seatbelt whilst driving, this is also the perfect harness for your dog to wear whilst travelling. 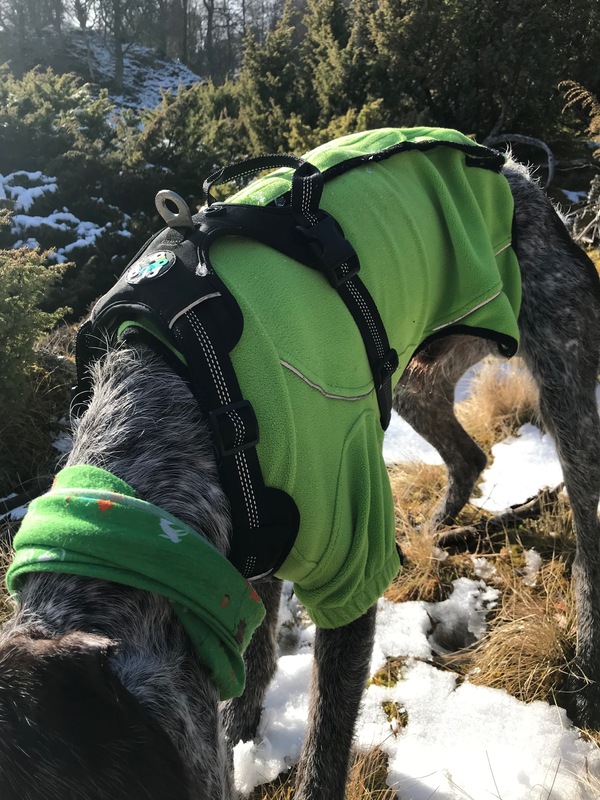 The Lewis Adventure Harness has a soft, breathable inner which is comfortable, wicking, and durable giving flexibility which is needed for a good all-round harness. 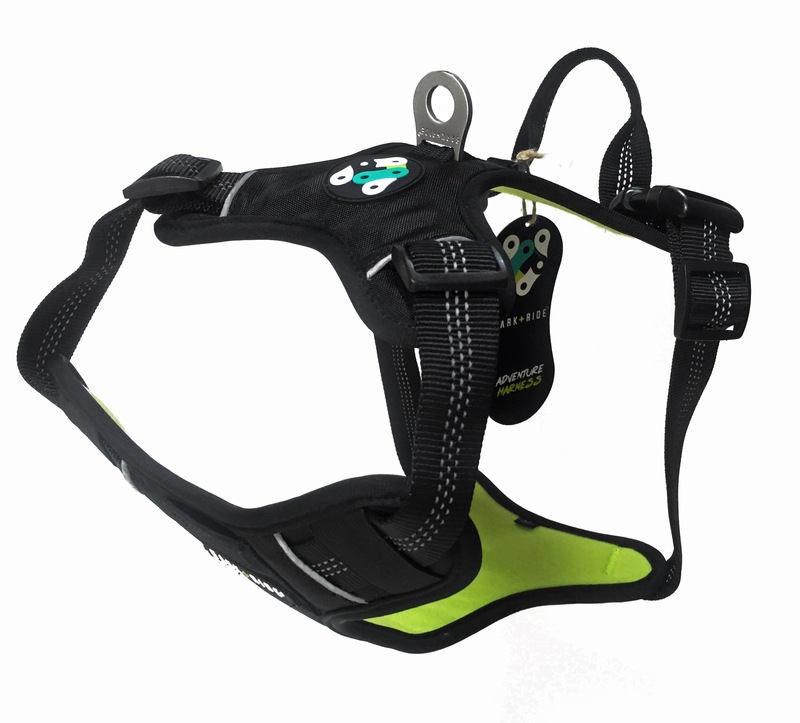 With its soft, breathable inner which is comfortable, wicking, and durable it gives comfort and flexibility which is needed for a good allround harness. 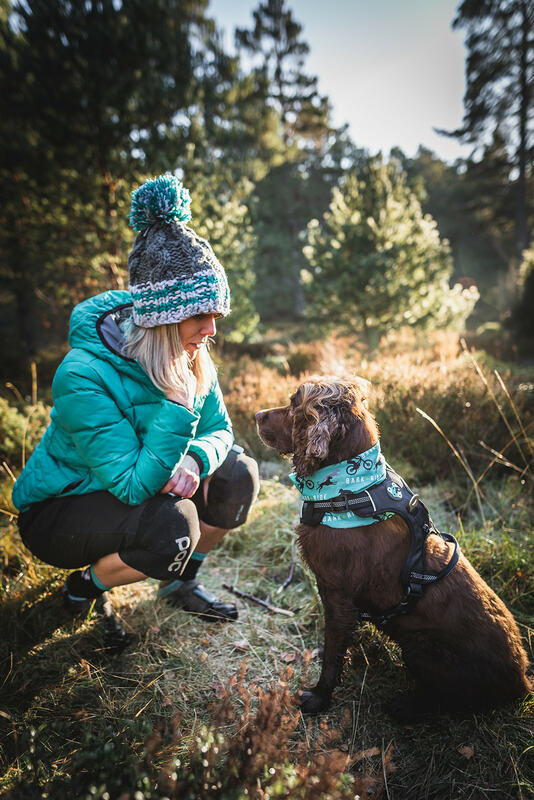 The soft yet durable webbing is designed to fit around the front of your dogs neck, above his shoulders, and far enough behind the elbows for minimum contact. Highly reflective stitching for night time adventures and sunny days. 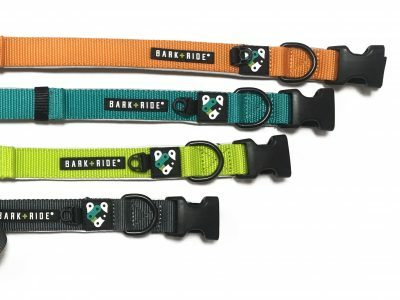 Multi Attachment point for leashes (check out our 2 in 1 bungee leash designed to clip on easily to the attachment point). A smaller, durable D ring is provided for lights or small GPS Trackers to be attached*. 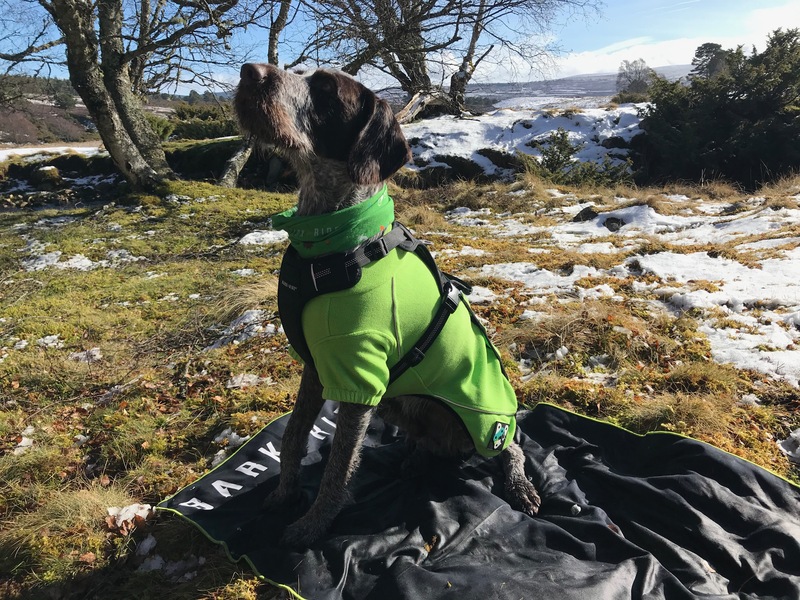 Whilst the above give you a guide please remember that all dog breeds can vary in size, so we are happy to exchange any harness that has only been tried on indoors and is not soiled. 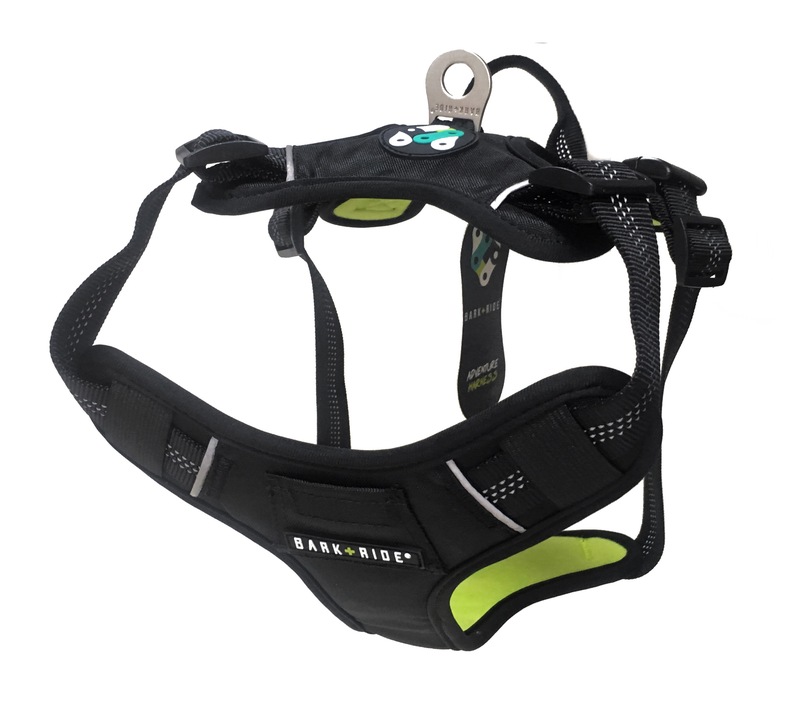 It is important to have a well fitting harness, if possible, check out your nearest Bark + Ride Stockist to try your dogs’ size. Please note this harness is not designed for pulling dogs. It should never be used for long distance running whilst attached to you and will not stop dogs pulling. 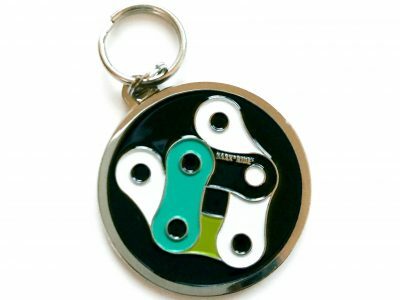 *all gps trackers vary in size, please make sure it is attached securely to avoid loss or damage. Rinse off any mud or small stoney particles with warm water and a sponge. Not washing machine safe.